The National Bank of Ukraine (NBU) has decided to withdraw the banking license of Bank Finance and Credit and liquidate the bank, the NBU said on its website. "The NBU on December 17, 2015 under a proposal of the Individuals' Deposit Guarantee Fund passed resolution No. 898 on the withdrawal of the banking license of Bank Finance and Credit and its liquidation," the central bank said. As the bank did not fulfill measures to improve liquidity, the bank's owners did not do enough to prevent the bank's incoherency and the operations of the bank was not in line with the requirements of Ukrainian law and NBU's acts, the regulator placed the bank to the list of insolvent banks on September 17 and the Individuals' Deposit Guarantee Fund introduced temporary administration to the bank on September 18 for the period until December 17. Bank Finance and Credit was founded in 1990. Its main beneficiary is the Ukrainian businessman, the MP, the majority shareholder and CEO of Ferrexpo, Kostiantyn Zhevaho. 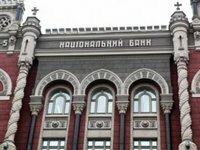 The bank ranked tenth among 127 operating banks in the country by total assets on July 1, 2015 (UAH 38.88 billion), according to the NBU. Its obligations to individuals on this date were equal to UAH 16.98 billion, including forex obligations in the amount of UAH 11.61 billion.